I wanted to write a contemporary book or just write whatever I felt like writing about, and it's things going from literature to coffee to memories of Fred in Michigan. It's whatever I felt. I hopped on a train and kept going. I want nothing more than to hop on that train with her. (Also: The Fred she refers to is the late guitarist for MC5, Fred "Sonic" Smith, who was married to Patti and passed away in 1994.) The National Book Award-winning Just Kids was an epic hit when it was released back in 2010, telling the story of Smith's long friendship with photographer Robert Mapplethorpe. And it was around the time Smith's Rolling Stone interview with published, in October 2014, that Smith said she had passed in her highly anticipated follow-up to her publisher, Knopf. According to Knopf, M Train follows Smith's "creative journey as an artist." And oh my goodness, what a journey it has been for the punk rock poet. Smith is known as being part of the original lifeblood of New York City's punk movement in the 1970s, infusing spoken word poetry into her rock music. 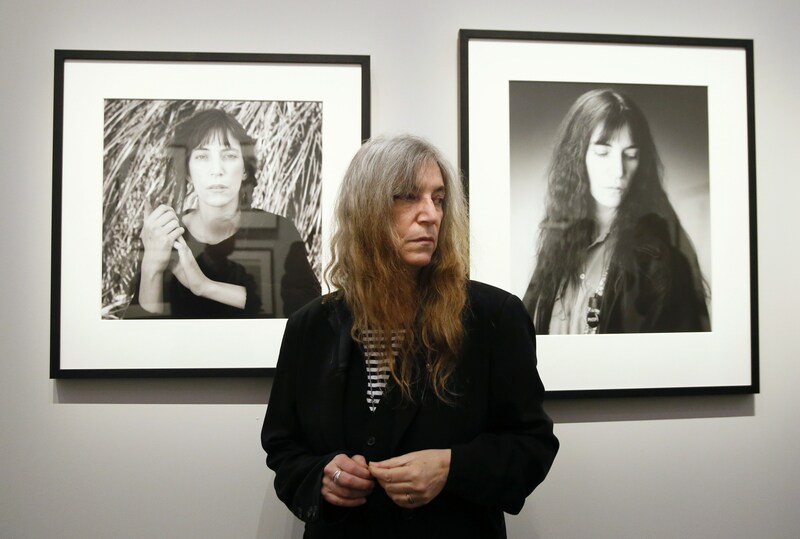 The Patti Smith Group's debut album Horses is still an icon today, and she was recently (very, very deservedly) inducted into the Rock and Roll Hall of Fame.